Johnny's 6 month photo session. Last Sunday I did Johnny's one year Cake Smash session, and I had such a blast with him! I was catching up with his Mom about what they had been up to since I had last chatted with them at Johnny's 6 month session and it turned out she had run into a client of mine while out grocery shopping, that she had read about on our blog (another cake smash session). I was thrilled to hear that two of my amazing clients were chatting about us and I am always so happy to know when people are reading the blog and watching what we are up to. Then it hit me... 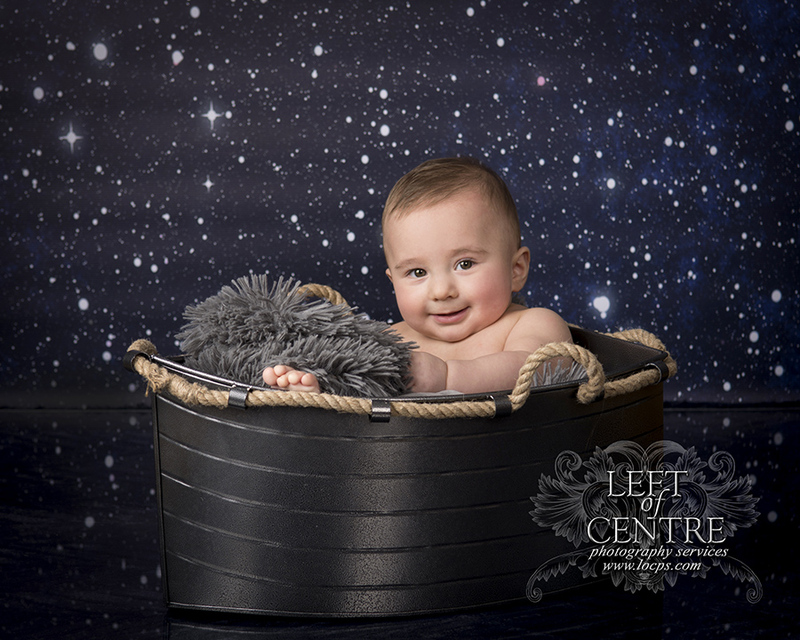 I had completely forgotten to post about Johnny's 6 month photo session! Insert forehead slap here! So it's a little late, but he's just so cute that I couldn't skip it. Look at those cheeks and that smile! Stay tuned for Johnny's Cake Smash session coming soon!